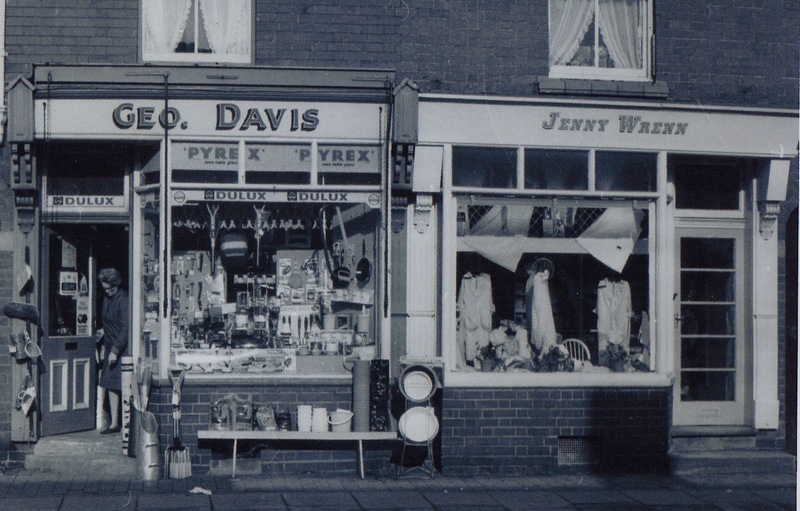 Bridgnorth Road shops in the 1960s. The ironmongers was originally run by L. Griffiths. There are images of his ownership on the site but when this photograph was taken it had changed hands and was run by George Davis. Next door was a children’s wear shop called Jenny Wren. This property is now part of Morgan Solicitors.